by mvtpaadmin ~ March 15th, 2019. 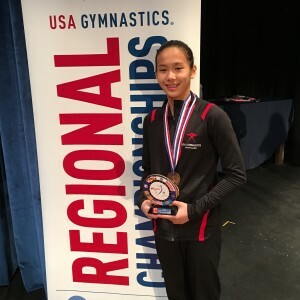 Congratulations to Elie Wu-Chen, 2019 Vault (9.525), Bars (9.325), Floor (9.525) and All Around (37.825) Champion, and placed 2nd on Beam in her age group at the Level 6 State Championship hosted by ACPR March 16th! 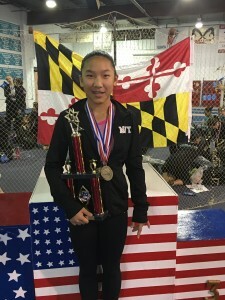 Elie also placed on the MARYLAND LEVEL 6 STATE TEAM with her 3rd place over-all finish! 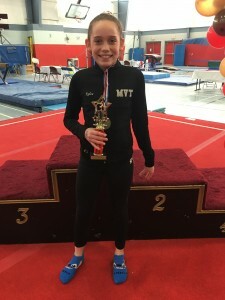 Congratulations Maggie Menard, 2019 Vault Champion w/a 9.525 and placing 3rd in her age group w/an All Around score of 37.525 at the Level 6 State Championship hosted by ACPR March 16th! 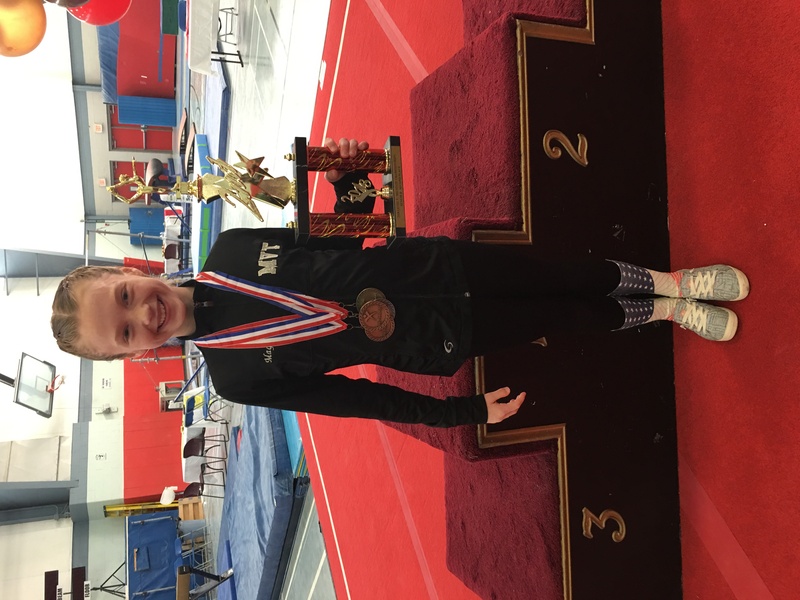 Maggie also placed 2nd on Beam, 3rd on Floor and 6th on Bars! LOOK AT MARVATEENS 2018 STATE CHAMPIONS! 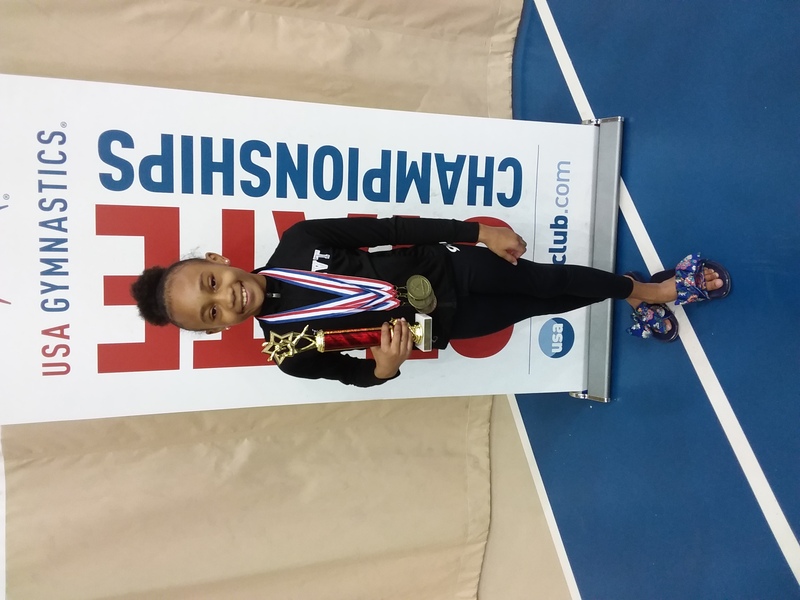 Congratulations to Elianna Hart, Level 6 Maryland State Vault w/a 9.45, Bars w/a 9.225 and All Around Champion w/a 37.375 in Waldorf March 24th! Elianna also placed 5th on Beam w/a 9.275 and scored a 9.425 on Floor! GREAT JOB! 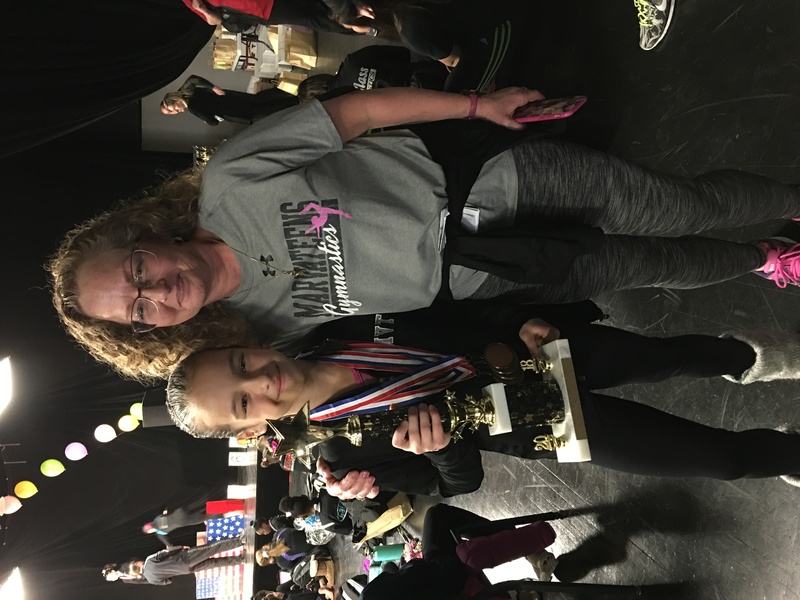 Congratulations to Coach Carrie and Ankara Herrera, Level 6 Maryland State Beam Champ w/a 9.5 in Waldorf March 24th! 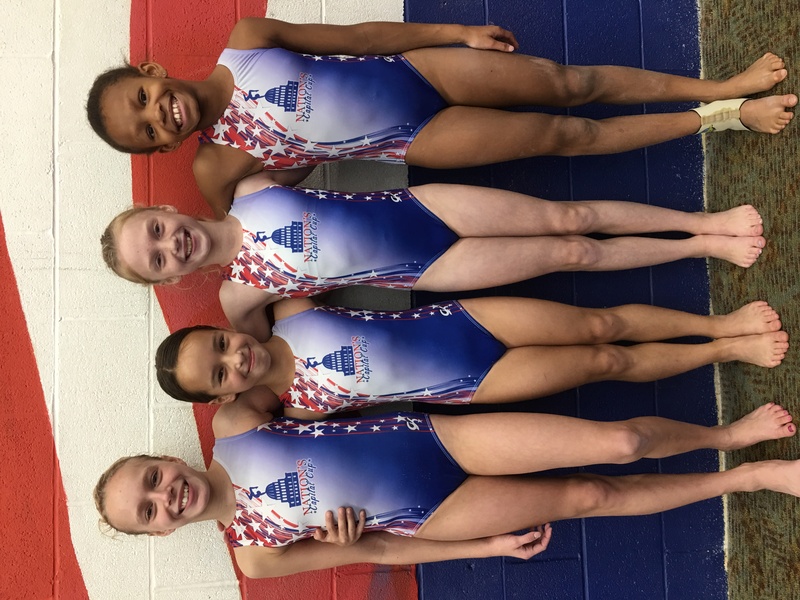 Ankara also placed 3rd on Vault w/a 9.40, 2nd on Bars w/a 9.35, 5th on Floor w/a 9.45 and 2nd in the AA w/a 37.70! GREAT JOB! Congratulations Maggie Menard, Level 5 State Vault Champ w/a 9.60 at the State Championship hosted by ACPR April 21st! 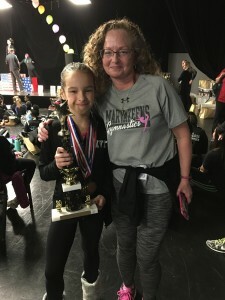 Maggie also placed 2nd on Bars w/a 9.15. 4th on Beam w/a 9.25, 7th on Floor w/a 8.8 and 2nd in the AA w/a 36.80! GREAT JOB! 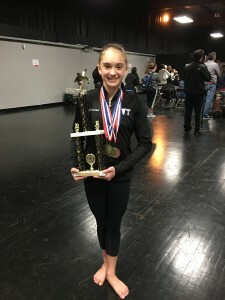 Congratulations to Rylee Knight, Level 5 State Beam Champ w/a 9.625 at the State Championship hosted by ACPR April 21st! Rylee also placed 9th in the AA w/a 35.675! GREAT JOB! 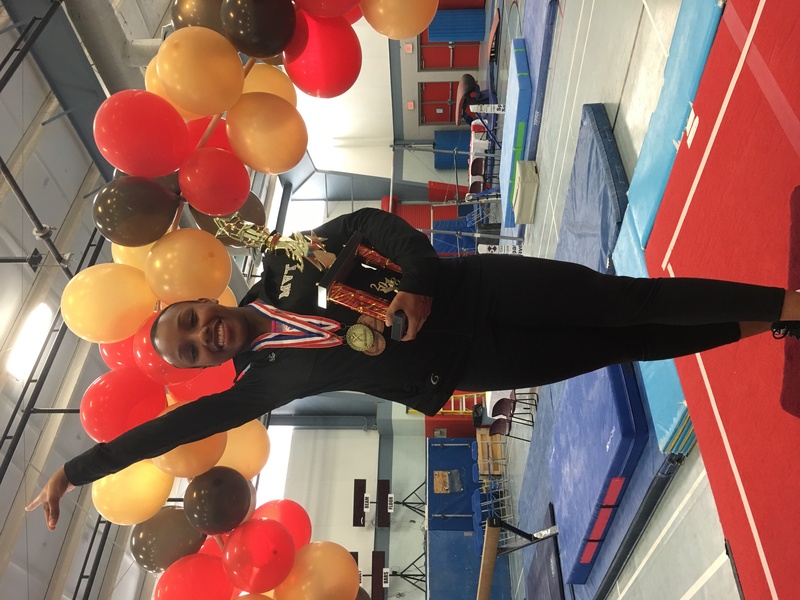 Congratulations to India Smith, Level 4 State Floor Champ w/a 9.625 at the State Championship hosted by ACPR April 22nd! India also placed 3rd on Vault w/a 9.05, 3rd on Beam w/a 9.15 and 3rd in the AA w/a 36.825! GREAT JOB! 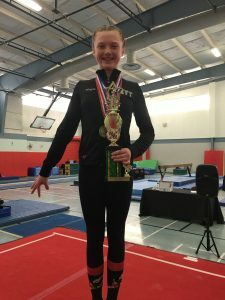 CONGRATULATIONS to Kai Wood, Level 3 Maryland State Bar w/a 9.65, Beam w/a 9.675, Floor w/a 9.725 and All Around CHAMPION w/a 38.45 at the State Championship held at CCBC-Essex April15th! Kai also placed 3rd on Vault w/a 9.40! GREAT JOB! 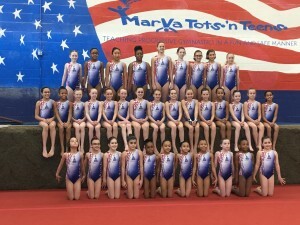 Congratulations MarVaTeens and the MVTPA on your 41st Nation’s Capital Cup! 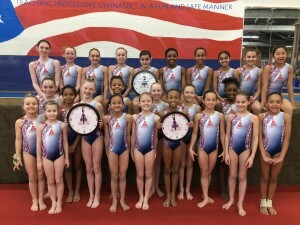 pictured is the team wearing their gift leotards and clock trophies! Congrats to our Level 4 Team placing 3rd at the 2018 Magical Classic in Orlando, Florida! 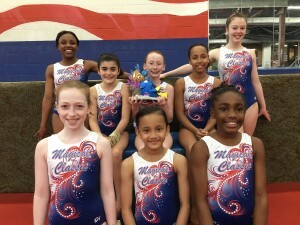 (back row, l-r): India, Madeline, Ashley, Kiara, Adelaide (front row, l-r): Maya, Aliya, Jada (not pictured), Genevieve. CONGRATULATIONS to our 2016-17 Level 4 State Champions! 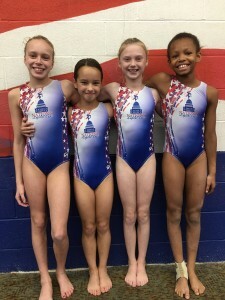 (l-r) Rachael, State Beam Champ! 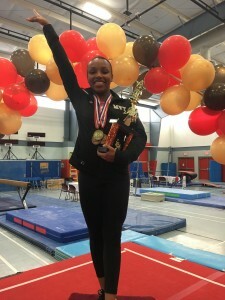 Ankara; State Vault, Bars, Beam and All Around Champ! 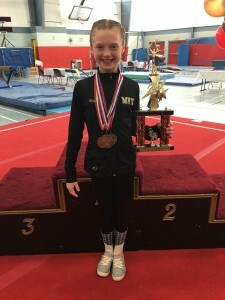 Maggie; State Vault, Floor and All Around Champ! 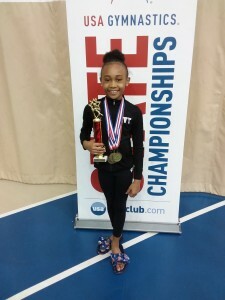 Desi; State Bars, Floor and All Around Champ! MarVaTeens! 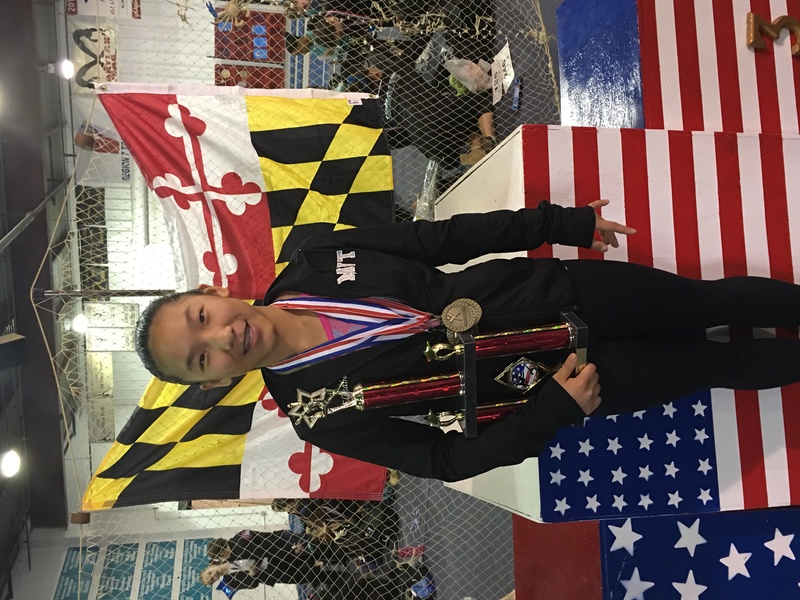 Congratulations to Elizabeth Wu-Chen, sweeping all four events and the all around to win the L-6 State Meet in Waldorf! 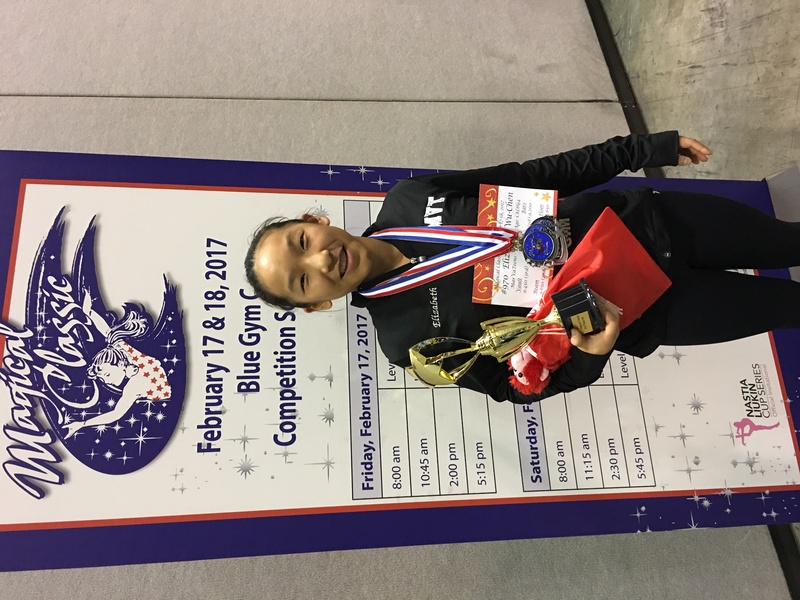 Elizabeth scored a 9.525 on VT, 9.200 on UB, 9.600 on BB, 9.350 on FX and a 37.675AA score! WOW! 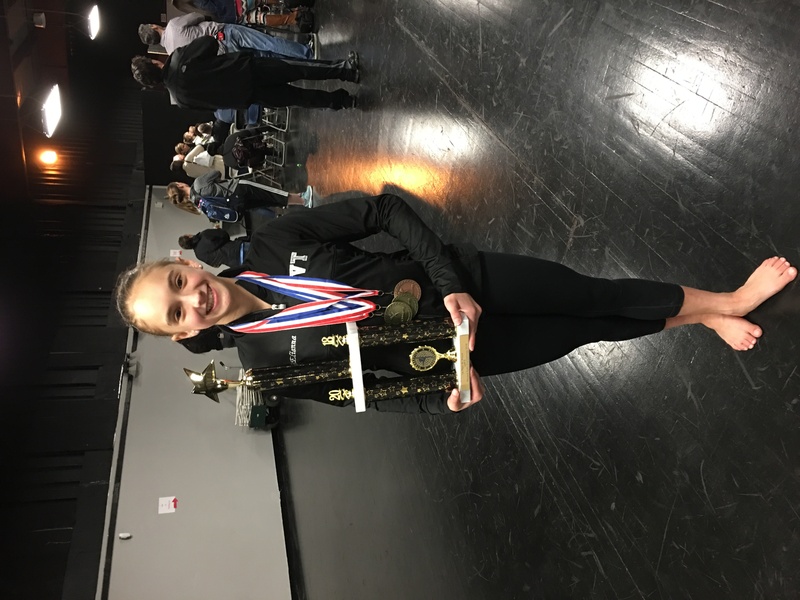 Congratulations to (L-8) Gabriella Shewchuk, qualifying to the USAG Level 8 Regional Championship scoring a 35.975AA, 8.75 Vault, 9.15 Bars, 9.30 Beam (5th pl) & 8.775 Floor! 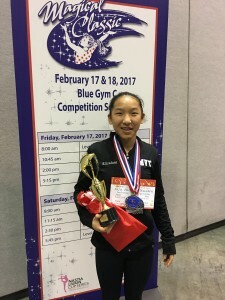 Congratulations to Elizabeth Wu-Chen (L-6) competing at the Magical Classic in Orlando, Florida February 18th. Elizabeth placed 3rd on Vault w/a 9.45, 1st on Bars w/a 9.2, 2nd on Beam & Floor w/a 9.65 and 2nd in the All Around with an outstanding score of 37.950! 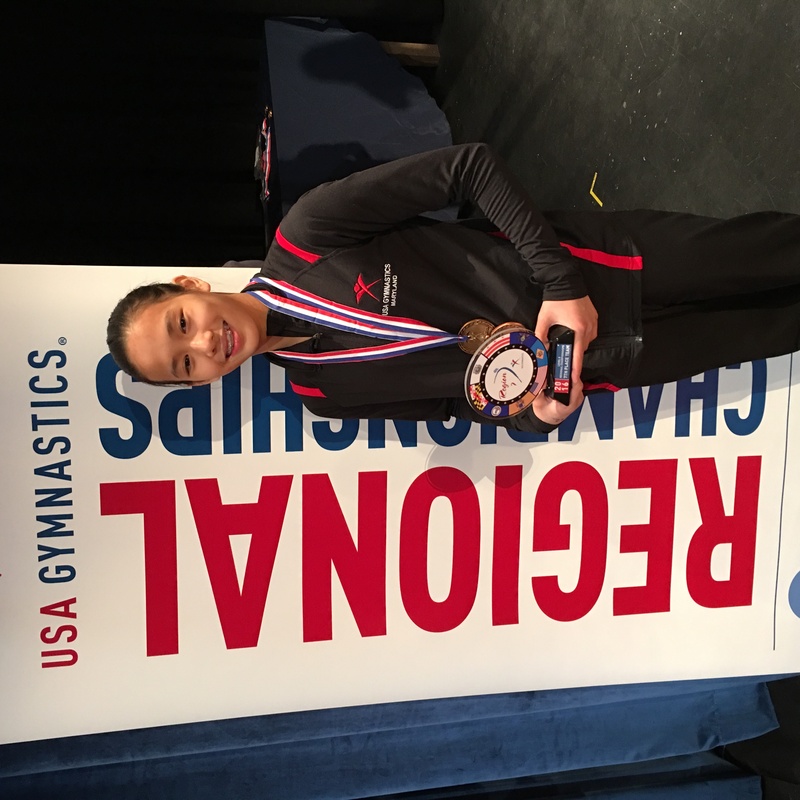 Congratulations to Elizabeth Tran at the Level 8 Regional Championships! 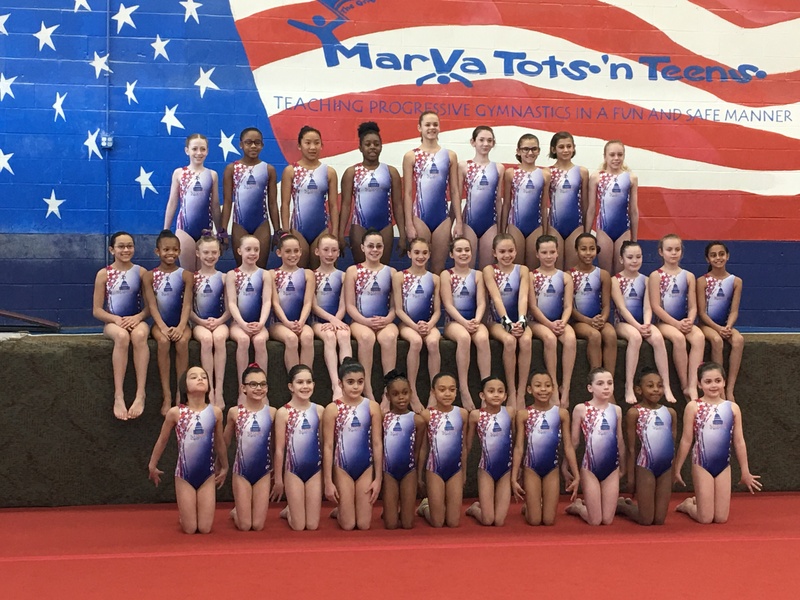 After placing 8th in the all Around at her State Meet, “ET” competed against the top 56 gymnasts from MD, VA, WV, PA, NJ & DE near State College, PA Sunday April 3rd. 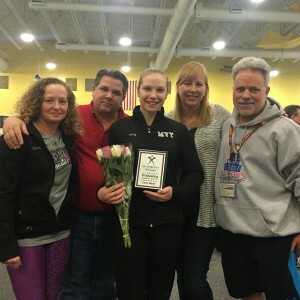 ET placed 10th in the All Around with a season high 37.100, scored a 9.300 Vault, on Bars she tied for 8th w/a 9.425, on Beam she scored a 9.175 & Floor a 9.200. GREAT JOB! Congratulations to CARLY MANN, MarVaTeens Class of 2016! 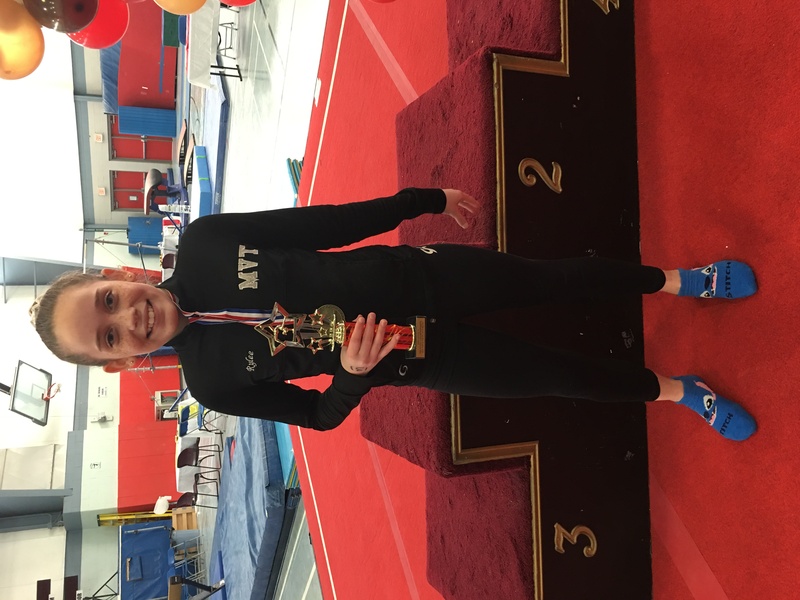 Placing 2nd on Beam, 6th on Vault, 7th on Floor, 7th in the AA and qualifying for the L-9 Regional Championship in her LAST Maryland State Meet! 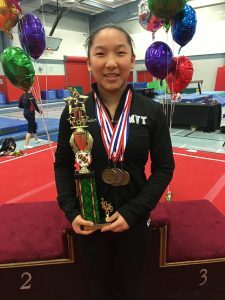 Her career accomplishments include: 2009 member L-4 State Championship Team, 2011 L-6 State Vault, Bars & AA Champion, 2012 L-7 State Vault, Bars & AA Champion, 2013 L-8 State AA Champion & Regional qualifier, 2014 L-8 States placing 4th AA and Regional qualifier, 2015 L-9 State Beam Champion, 2015 L-9 Regional qualifier and Regional Bars & Beam Champion, 2015 L-9 Eastern National Championships, medaling 4th on Beam, placing 8th on Bars & AA. Carly is a 2014-16 National Honor Society & Spanish Honor Society Member! Upon high school graduation, will attend either James Madison or University of Maryland, College Park, majoring in Biology on a pre-med track!